Lamar Chemical Engineering Professor Helen Lou has been distinguished as an American Institute of Chemical Engineers (AIChE) Fellow. The distinction is only bestowed on those members of AIChE who are an important resource to the organization providing experience-based guidance to leadership and members and who contribute to the activities of AIChE. Through a colleague nomination process that required at least five letters of peer support, AIChE Board of Directors election and general recommendation of the AIChE Admissions Committee, Lou achieved the organization’s highest grade of membership. As a member of AIChE, Lou has served as the organization’s director of the Fuels and Petrochemicals Division; she’s held several positions on the Sustainable Engineering Forum (SEF) including Forum vice chair and programming committee chair; she has been chair of two topical conferences in sustainability and Award Committee chair for SEF; she also served as liaison to the International Society of Water Solutions. Lou’s activity is not limited to AIChE. She has published 12 book chapters, more than 60 peer-reviewed journal articles and conducted more than 100 conference presentations. She was honored as Lamar University Professor in 2013, University Scholar in 2009 and the recipient of University Merit Award in 2004. She received AIChE Sustainable Engineering Forum Education Award in 2014. She successfully implemented more than 40 research projects, ranging from process safety, clean combustion, flare minimization, remediation of contaminated water to sustainable product and process design, with the support from National Science Foundation, state agencies, professional societies and local industry. In addition to her service in AIChE, Lou is a Board Member of the Gulf Coast Regional Center of Innovation and Commercialization (2009 – 2015). 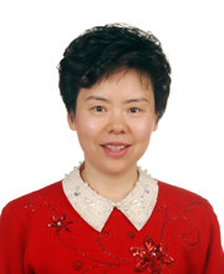 She serves as an Editorial Board Member of two journals, “Clean Technologies and Environmental Policy” and “Environmental Progress and Sustainable Energy.” She also serves as the vice technical chair for the International Conference on Thermal Treatment Technologies & Hazardous Waste Combustors (IT3/HWC).